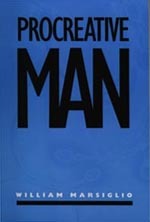 In what ways do men think about and express themselves as procreative beings? Under what circumstances do they develop paternal identities? What is their involvement with partners during the pregnancy and delivery process, and how do they feel about it? In Procreative Man, William Marsiglio addresses these and other timely questions with an eye toward the past, present, and future. Drawing upon writings ranging from sociology to biomedicine, Marsiglio develops a novel framework for exploring men’s multifaceted and gendered experiences as procreative beings. Addressing such issues as how men feel about their limited role in the abortion decision and process, how important genetic ties are for men who want to be fathers, and men’s reactions to infertility, Marsiglio shows how men’s roles in creating and fathering human life are embedded within a rapidly changing cultural and sociopolitical environment. The most comprehensive analysis of men and procreation, this theoretically informed work challenges us to expand our vision of fatherhood.